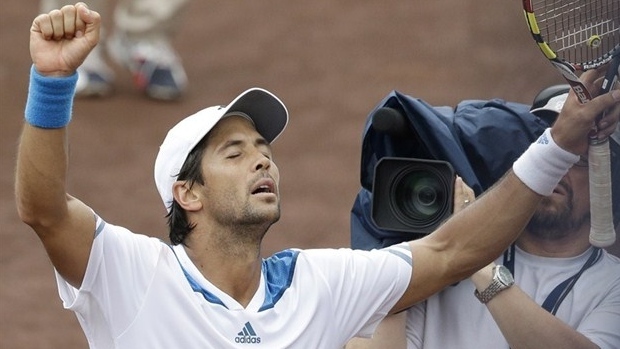 Fernando Verdasco is through to the second round of the Stockholm Open after beating Marinko Matosevic of Australia 6-3, 3-6, 6-3 on Tuesday. The Spaniard hit eight aces and saved as many break points to advance. Fifth-seeded Leonardo Mayer also reached the second round after a 6-4, 6-4 win over Donald Young, while Frenchman Adrian Mannarino rallied after dropping the first set to beat Marcos Baghdatis 2-6, 6-2, 6-4. Marius Copil eliminated eighth-seeded Portuguese player Joao Sousa in three sets, and Jeremy Chardy beat Sweden's Elias Ymer 6-3, 6-4 in the day's final match. Tomas Berdych of the Czech Republic and defending champion Grigor Dimitrov of Bulgaria have byes into the second round.